I have an addiction, a blog addiction. The funny thing is that I am not a blogger but I love to read other peoples blogs, it doesn't even matter to me if I know them or not. During my recent 'Blog Blast' I chanced upon my sister-in-law Amy's blog and found that she had in fact linked to my blog...yikes! Like I said I am not a blogger but I feel I am being challenged to have one...ha! No really it might be fun so we'll see how it goes... and if anyone even reads it!! 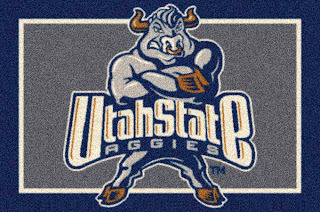 I just started school again at USU, and feel I am on the slow descent towards graduation!! It feels good to be here. WHEN DID YOU GET A BLOG AND NOT TELL ANYONE??? :) I can't believe you've left your blog open for the anonymous comments either. Shame, shame. Haha! Just kidding. I'm pretty sure mine allows anonymous people too. Welcome to the blogging world! I need to update mine...I need a home first. Anonymous people are welcome, just kidding we will see how it goes. Thanks for the welcoming...you need to post! BOOO YEAH Tor is blogging. I LOVES IT. You will be all graduated so soon!